Featuring intriguing interviews from 100 influential women in gaming, learn how women have played – and will continue to play – important roles in the burgeoning video game industry. 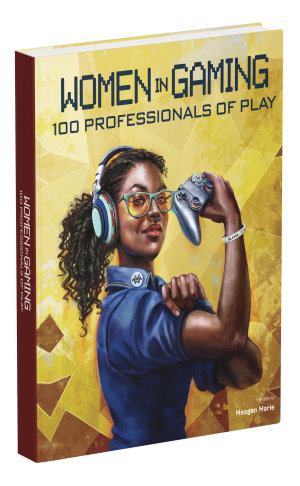 Women in Gaming: 100 Professionals of Play is a celebration of women’s accomplishments in the video game industry, ranging from high-level executives to programmers to pro-gamers. This insightful and celebratory book highlights women who helped establish the industry, women who disrupt it, women who fight to diversify it, and young women who will someday lead it. Featuring household names and unsung heroes, each individual profiled plays an important role in the gaming industry.